The market of head mounted display gadgets is continuously growing and it is estimated that, by 2016, the number of smart glasses could reach over 10 million around the world. Google Glass is considered as one of the most trending wearable gadgets in today’s technology world. It is more than a Smartphone, inbuilt with a microcomputer that features an HD camera, microphone, GPS system. Google didn’t launch it commercially and it already banned in many places in few countries. The reason behind it assumed to be used illegally. Many other companies also created their head mounted displays and some features various new technologies. Google glass is considered as the best head mounted display gadget but this article features some of the most compelling and best of Google Glass alternatives that are available in the market. Epiphany Eyewear is simple looking glass which is inbuilt with a microcomputer that enable it to record videos. These wearable computers are designed by Vergence Labs. It has a high definition video camera and 10 processing cores that give it a fast speed. It takes images and videos and can be connected to laptop, computers and smartphones via Bluetooth or micro USB. It also has a storage memory that can store up to 32 GB of data and is powered by a rechargeable lithium battery. It also features electric powered sunglasses that shade the lenses when you are out in the sun. GlassUp is the one of the best smart glasses which shows incoming e-mails, messages, social media updates and other notifications. These actually look like normal glasses and come with and without camera. The non-camera version will cost you around $300 whereas for glass with camera, you need to pay extra $100. The glasses are expected to work with both Android plus iOS and Window phone support coming shortly. There are many other uses of the GlassUp including description what you read, driving directions, news updates, weather forecast and even stock market changes. The Vuzix M100 is the world’s first commercially available smart glasses. It is an Android based wearable computer that has hands free access to data and video capabilities. It is compatible with thousands of Android apps and features Bluetooth and WiFi connectivity. It comes with 4 GB of on board storage memory and 3D augmented reality feature. These glasses are mostly used to gather information easily in industrial, medical and in other businesses. It also features GPS system which navigates the directions and head tracking system which maintain the view angle of the users. The Telepathy One is a wearable headset developed in Japan which has similar features as Google glass. It features a sleek and better design that doesn’t touch the user’s face. This smart glass is designed to take pictures and videos and can wirelessly connect to smartphones via Bluetooth. It has an inbuilt camera and micro display technology. The company has funded $5 million and now become a Google glass competitor. It superimposes images and videos directly in front of the user’s face which look like a 5 inch wide display. Meta Pro is a true 3D display smart glass. This augmented reality gadget allows users to interact with the world in a new way. It provides 15 times more display space as compared to Google glass. It contains the Intel i5 processor and in many industries, it is also known as a wearable computer. Its $3000 price tag might scare customers but these smart glasses made a new way in augmented reality. It also features a large collection of applications. Now the company continues to make the more advance version of the Meta Pro. The Optinvent Ora SAR provides a platform that enables hands free wireless mobile computing including location based service, messaging and many more. It was launched in March 2014 with the price of $950. It runs a dual core 1.2 GHz ARM Cortex processor with Android 4.2 and 4 GB flash memory. It features a big 4:3 screen with a 24 degree field of view. It only weighs 80 grams and features wireless connectivity via Bluetooth and WiFi with the battery lifespan of 8 hours. 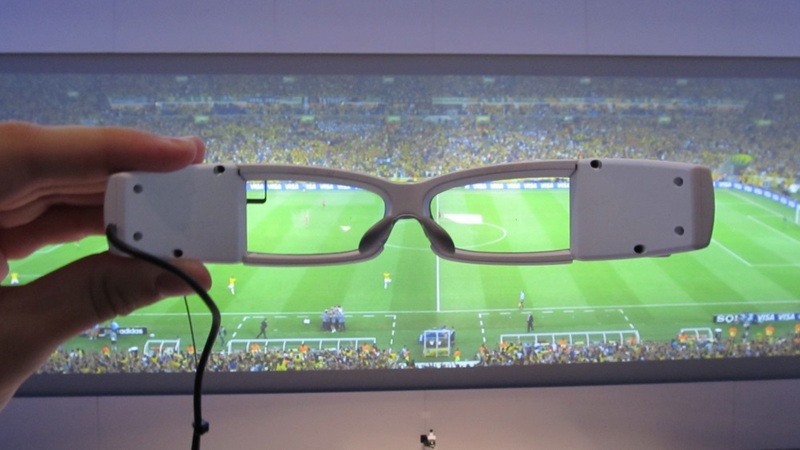 Recently in September 2014, Sony has launched their Smart Eyeglass prototype which is more akin to the Google Glass. It has a slimmed design and integrated with built in projector which display texts and videos to both eyes. Now Google Glass has many rivals but many people still like Google glass’s features. They use a hologram system to display the images which appears 2 meters away from the user. This smartglass also features camera with Bluetooth and WiFi connectivity which allows Android apps to run on the glasses for information. The Atheer One is regarded as one of the best Google glass alternatives. It provides a platform for true augmented reality. It features two XGA display screen that creates a big screen (26 inches wide) in front of the user’s eyes. Its screen size is seven times the size of Google glass. It can be connected to Android smartphones and compatible with thousands of applications. They initially get funded through Indiegogo crowdfunding platform and it costs $100 for developer kits. 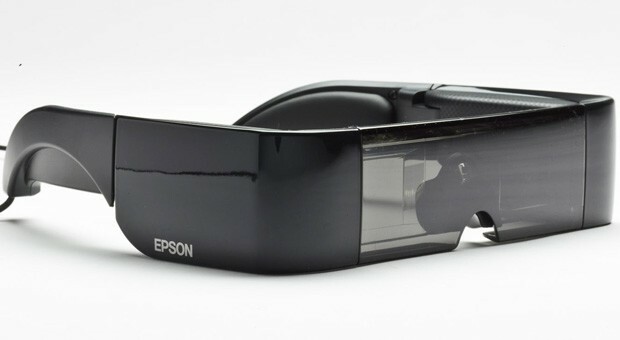 Now they are planning to make it commercial with the price tag of $350, making it one of the cheapest smart glasses.